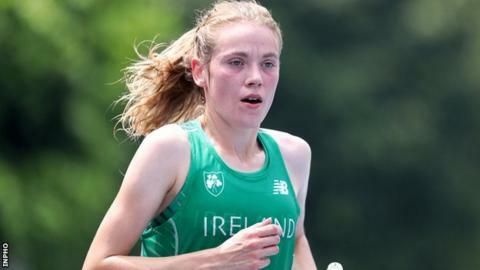 Banbridge athlete Emma Mitchell finished seventh in the 5,000m at the World University Games in Taipei. After struggling in hot conditions when ninth in Wednesday's 10,000m, Mitchell ran well on Sunday as her time was less than 10 seconds outside her PB. Mitchell, 23, lost contact with the leaders after pace was injected in the fourth mark kilometre but ran a strong last lap to improve her position. The Stranmillis College student crossed the line in 16:00.02. Germany's Hanna Klein clinched gold in 15:45.28 as she powered away to win from Canada's Jessica O'Connell (15:50.96) with Britain's Jess Judd (15:51.19) taking bronze. Another Briton Louise Small (15:55.55) missed out on a medal as she lost ground on the final lap while Poland's Paulina Kaczynska and the Czech Republic's Krisiina Maki also finished ahead of Mitchell. The county Down woman's Irish team-mate Shona Heaslip finished 11th in 16:09.62. Mitchell, who is coached by Eamonn Christie, is hoping to represent Northern Ireland in the 10,000m at the Commonwealth Games next spring after achieving the consideration standard in May. Her 10,000m personal best also broke the Northern Ireland record after she also set a new Northern Ireland 5,000m record a week earlier. The Banbridge athlete went on to achieve a 1500m/5,000m double at last month's Irish Championships.